LITU’s Conservation Banquet Fundraiser and Auction - Please Click Here to Order Your Tickets! 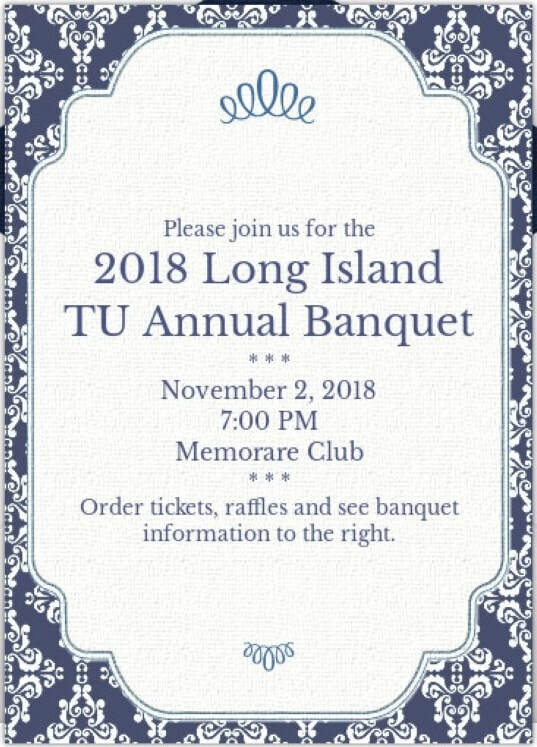 Friday, November 2, 2018, at Memorare Club, 2183 Jackson Avenue, Seaford NY 11783. A cocktail hour, featuring hot and cold NY 11783 hors d’oeuvres with live music and an open bar starting at 7:00 pm will begin the evening, followed at 8:00 pm by a scrumptious buffet dinner. 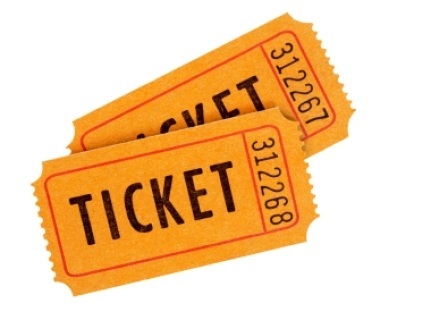 Rounding out the evening’s festivities will be a 50/50 raffle, a verbal auction and bucket raffles. Tom LoProto, C/O Trout Unlimited, 68 Murray Drive, Westbury NY 11590. Your RSVP must be postmarked no later than October 13, 2018. Ensuring that our native and wild trout and salmon continue to have a healthy future is a responsibility we in Long Island Trout Unlimited take very seriously. Because I know you share this commitment, as both an angler and a conservationist, I truly hope you will accept my invitation to participate in this special event - an evening of fun, camaraderie and fundraising for a worthy cause. Working together we can ensure that our children and grandchildren will have the opportunity to fish for trout and salmon in clean rivers and streams.